For all of our frequently asked questions about Locations, check out this guide. 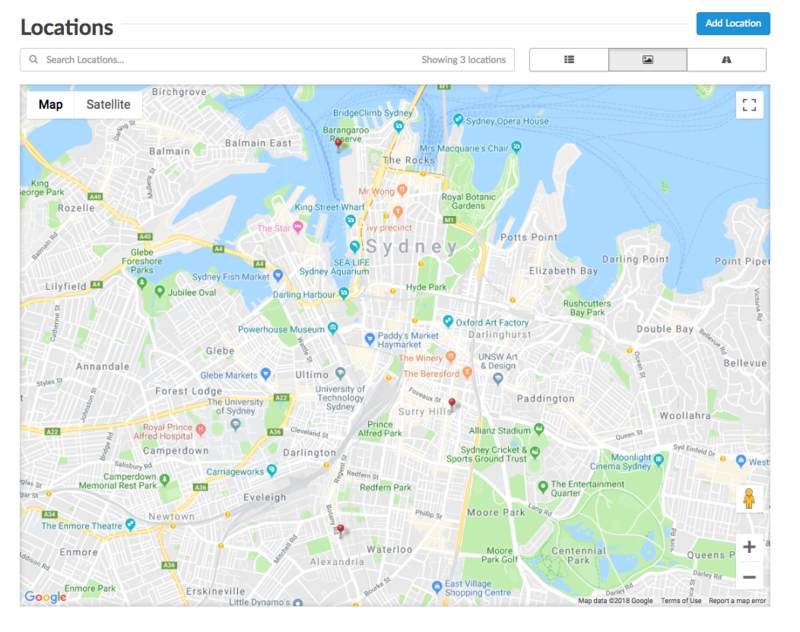 The Locations page is the main hub when it comes to settings for different areas. This help article will walk you through some of our frequently asked questions about the Locations page. How can we make the start of the week to a certain day? To change the start day for a location, simply click 'Edit Settings' on the location you wish to change. To add a location, simply click 'Add Location' and follow the prompts to fill in the information. How do I view my locations in different ways? List view gives you a basic view of all the locations in your Deputy account. This view drops a pin down on the location's geographical point on a map. This view allows you to see information about locations that have pending scheduling action items. How do I archive a location? Click the 'Edit Settings' drop-down next to the location you would like to archive. On the next page, click 'Archive'. Click through to archive the location. How can I restore a deleted area? Unfortunately, deleting an area is an irreversible action. If you would like to reinstate a location, click 'Archived locations'. Click 'Reinstate' on the location you would like to retrieve.